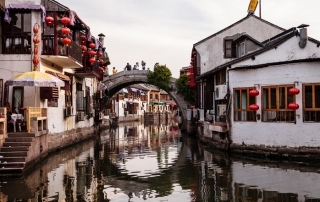 Adventure through five cities in China. Please Note: Inventory and price might be changed every minutes. This sale applies to adult fares only. Any travelers under the age of 18 will be charged the regular rates which are $200 more than the advertised pricing above. Call for more information regarding child fares. Departure from home city to Beijing. Please make sure that you have all your travel documents prior to departure date. Enjoy your China tour with Compass Holidays. When arriving in Beijing, you will be greeted by one of Compass Holidays local representatives at the Beijing Capital Airport and then transferred to the hotel. The rest of the day will be all yours, and you can start exploring the city on your own. 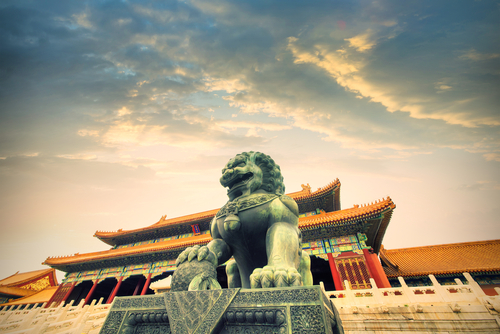 After hotel breakfast, start with the heritage tour by visiting Forbidden City and , which is the largest and the best-preserved imperial palace complex in the world. Then continue to visit Tiananmen Square Afterwards which is the iconic of China. 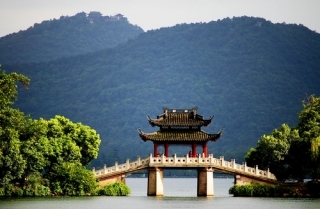 Then visit the Summer Palace, where you will enjoy a relaxing walk or boat ride on the Kunming Lake. Lastly, stop by Tongrentang Chinese Medicine Institute, which had been designated to provide medicines for the royal pharmacy of the imperial palace of the Qing Dynasty for 188 years. 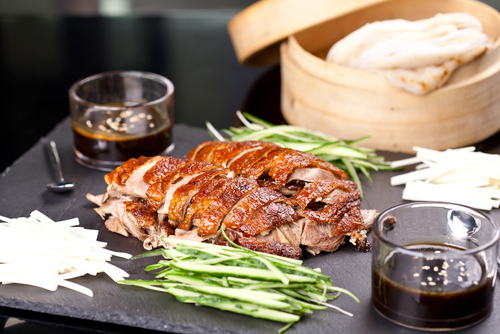 Authentic Peking Duck Dinner will be served tonight. 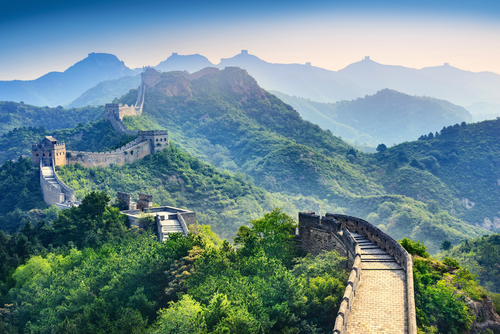 Start with the Great Wall (Juyongguan), one of the "Seven Wonders of the World" and the UNESCO heritage site that you can't miss. Get a chance to climb a portion of this 3,700-mile marvel. 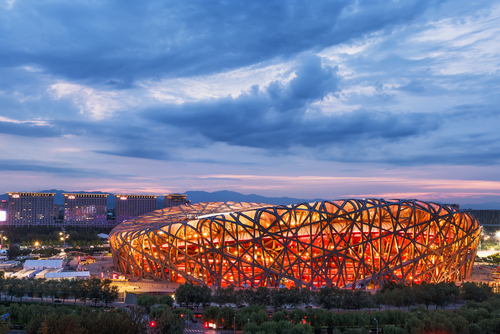 Then take a look at Beijing 2008 Olympic Center including the famous Beijing National Stadium aka Bird's Nest and Water Cube from outside. You will visit one of the largest Jade Exhibitions in Asia enroute and see skilled artisans working at a Cloisonné Factory in this day. You can join the optional tour by visiting Three Kingdoms (USD60per person, Contains scenic transportation). Three Kingdoms City is located in the southwest suburb of Wuxi City. It is one of the CCTV Television Bases, and a renowned tourist attraction. The Romance of the Three Kingdoms, a historical TV series, was filmed there. The title, Three Kingdoms, refer to Wei (220-265), Shu (221-263) and Wu (229-280) which were the three rival powers during the period of Three Kingdoms. 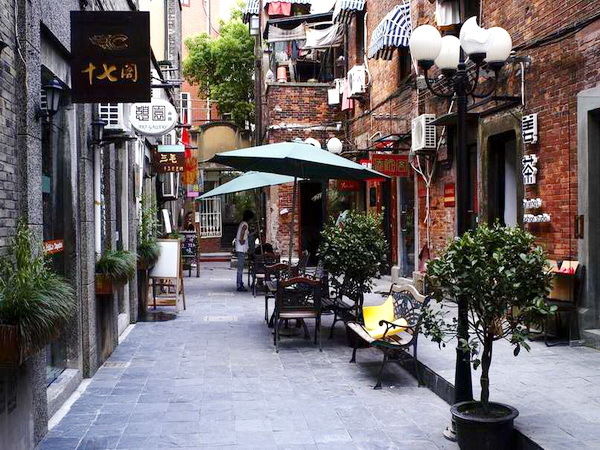 In the evening, you will visit Nanchang street, and then stroll along the trendy pedestrian streets composed of both ancient and modern architecture. After breakfast, start with the Pearl Breeding Center and Zisha Tea-Pot Center. 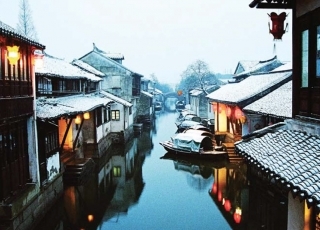 Then transfer to Suzhou, often referred to as the "Venice of the East". Enjoy the rest of the day or You can choose to join the Grand Canal Cruise optional tour. (USD40per person). 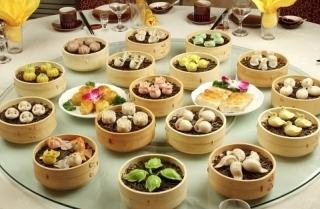 After breakfast, start the tour by visiting Suzhou Lotus Garden, also known as the Couple's Garden. It is the world's cultural heritage listed on UNESCO. It has survived to the present and is kept in a good state of preservation and its artistic perfection, the garden has had a good reputation, popularly known as“Oriental romantic”. Then pass by and visit the silk embroidery factory for a demonstration on the silk-making process. After lunch, transfer to Hangzhou by bus. 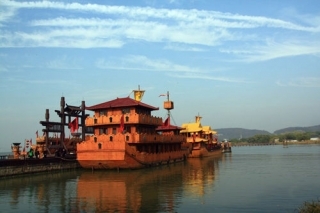 Upon arrival, you can join the optional tour Boat Ride on the Serene West Lake (USD35per person), which is the most renowned feature of Hangzhou, and also best-known for its scenic beauty blending with natural, cultural and historical heritage. 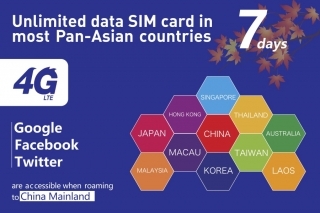 Then transfer to Shanghai . Visit the Bund, which is a famous waterfront and regarded as the symbol of Shanghai for hundreds of years. The Bund, also called Zhongshan Dong Yi Lu (East Zhongshan 1st Road), is a famous waterfront and regarded as the symbol of Shanghai for hundreds of years. It is on the west bank of Huangpu River from the Waibaidu Bridge to Nanpu Bridge and winds 1500 meters (0.93 mile) in length. The most famous and attractive sight which is at the west side of the Bund are the 26 various buildings of different architectural styles including Gothic, Baroque, Romanesque, Classicism and the Renaissance. Visit the Nanjing Road, which is No. 1 commercial center in China. Nanjing Road features over 600 business including massive modern multi-level shopping malls, historic stores, specialty stores, theaters, world-class hotels, attractions and much more. Nanjing Road dates back to the Qing Dynasty and many of the same shops are still trading today. Join the optional tours to explore Shanghai City. Visit Shanghai jade jewelry heritage exhibition center, it is the precious stones, jade and other works of art design, production, the sale is a body comprehensive enterprise, divided into cultural promenade, jewelry, jade hall, VIP reception center, a number of functional areas, based on its quality "beauty, fashion, unique design, exquisite production technology, perfect after-sales service, won the favor of many customers. After breakfast, travel to the airport. Departure from Shanghai and head back home or extend your China tour to other cities in China. The legend of Kung Fu Show in Beijng is performed by the top China’s Kung Fu practitioners. 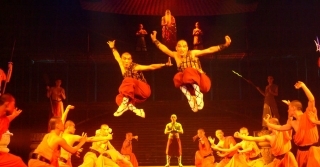 Grand produced by a leading performance company, this show is visually stunning with an intriguing story line and extraordinary martial arts skills. the life of the locals. Sometimes if the moment is perfect, you will hear the boatmen serenading some local tunes and have an even more unforgettable experience. Considered one of the most beautiful lakes in China, West Lake is the jewel of Hangzhou. The lake is sheltered on three sides by hills, with open flat land to the northeast where downtown Hangzhou is located. Enjoy the ripples and the perfect harmony between nature and the city from the center of the water. Zhujiajiao is an ancient water village on the outskirt of Shanghai with the nickname "pearl stream." With bridges that were built during Ming and Qing Dynasties, the lovely village shows you a real taste of the authentic beauty of south China. novelties. There is just so much to see and do in this neighborhood. After breakfast, fly to Xi'an. Xi'an was the first Chinese City to open its doors to the world during the Tang Dynasty. Over a period of more than 2000 years, Xi'an was the capital of eleven dynasties. Upon arrival, enjoy the rest of day at leisure. Visit the Ancient City Wall which is not only the most complete city wall that has survived in China, but also one of the largest and most complete ancient military defense systems in the world. 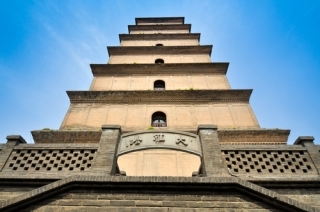 Then, visit the Big Wild Goose Pagoda, the symbol of the city. It is said to have been built to house and protect Buddhist scriptures collected by the Chinese monk, Xuan Zang, the key gure in the classical Chinese novel, " Journey to the West". 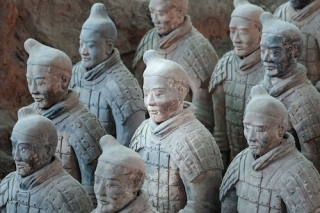 After breakfast, visit the Terra Cotta Warriors and Horses Museum and see the attached life-sized defending army to the first emperor of China, Qin Shi Huang. This site is regarded as " the eighth wonder of the world" and is among the top archaeological excavations of the 20th century. Then Visit an Art Ceramics Factory before dinner. 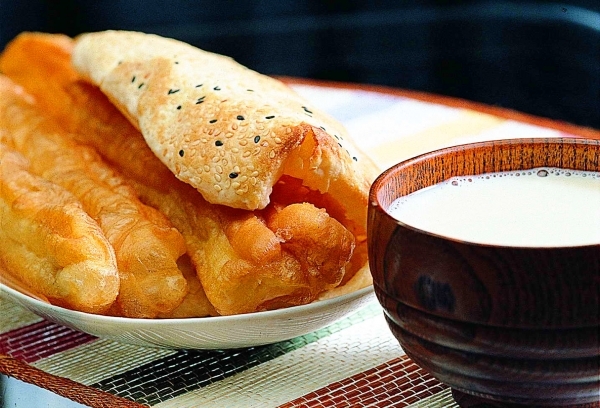 After breakfast at the hotel, you will fly to Beijing/Shanghai for connecting flight to your home city. Non-Chinese(Canadian/USA travelers) must present a passport to visit China, which must be valid for at least six months beyond the date of expected departure from that country. Official (special and diplomatic) passport holders must consult us, as you may be subject to different entry requirements. 1. Valid for Canadian / USA / Australia passport / PR holder with English speaking tour guide service; You are responsible for obtaining and paying for all visas and entry documents., for meeting all health and other requirements, and for any documents required by the law, regulations, orders, and/or requirements of countries you will visit and for your return home. 2. This is a shopping tour required to make several stops of one to two hours as outlined in the itinerary, but you aren't obligated to purchase. We strongly recommend you join our experts optional tours, because most of our group hotels may far away from the sightseeing place and downtown area, so if you do not join optional program, you might need wait in the bus do nothing or find your own way to catch the group to the next destination. Be aware that most of the major attraction sites always have long line up for ticketing and some of them have limited inventory and flow control, make sure join our tours to save your time and enjoy the group rate. Passenger should pay the single room supplement if the companion cancels or no show or interrupts the tour. 3. The tour fee excluded Optional tour Fee listed on the itinerary and Compulsory Tips. All tour extensions requires a minimum of 10 participants to commence. Compass Holidays reserve the rights to cancel the tour extension without prior notice. 6. The tour does not include additional costs when unforeseen or unavoidable circumstances or events arising. Unforeseen or unavoidable circumstances or events including private demand, flight delays / cancellations, the threat of war / potential threat of war, riot, civil strife, terrorism / actual terrorist activities, natural disasters, adverse weather conditions, etc. .
7. Please double confirm 24 hours prior to departure for your flights statues, the first night hotel and tour guide information to avoid any mistake.